Stains can be difficult to remove from leather, especially when it's white. If the stain is dark, it will be quite noticeable and must be removed by a mixture that won't damage the leather. Use the appropriate cleaning solutions so you do not stain the white leather more. 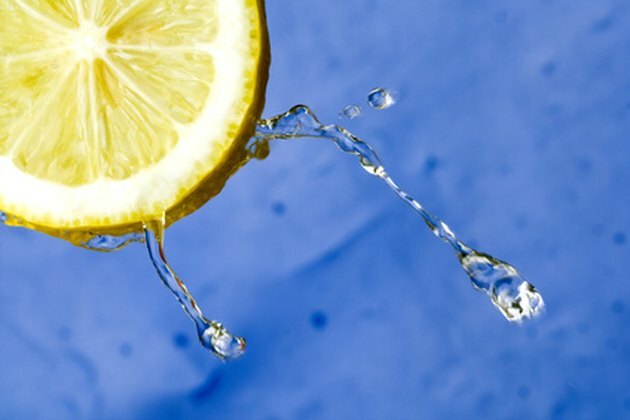 Lemon juice can safely remove a stain from white leather. Pour 1/2 cup of lemon juice into a bowl. Add 1/2 cup of cream of tartar and mix together. Dip a sponge into the mixture and apply it to the stain. Rub the paste into the stain with your hands. Let the mixture soak into the stain for 10 minutes. Apply some more of the mixture with a sponge. Wet another sponge and add a drop or two of gentle soap. Use the wet sponge to wipe up the mixture. Wring out the sponge, wet it again and repeat the process until all of the mixture has been wiped up.